Throughout the year we invite parents to comment and give feedback on our policies and procedures. Parental feedback is valuable and very much appreciated. This week all Pre-Prep parents should have received two emails highlighting the Children’s Health and Safety Policies and Procedures for Pre-Prep to review. 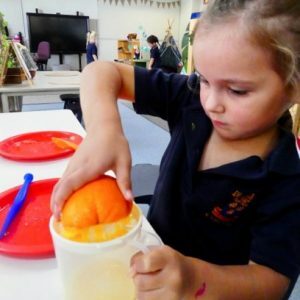 Children’s Health and Safety is Quality Area Two and encompasses policies relating to health, hygiene, illness, safety and the wellbeing of the children. 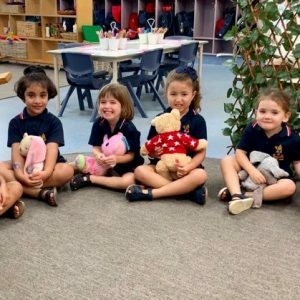 If a child is to be absent from Pre-Prep due to illness, parents are requested to contact Junior School Reception on 07 5577 7230 or to send a text message to Administration SMS 0416 906 250 by no later than 9.00am on the day of absence. If the period is to be an extended absence due to the advice of a doctor, please ensure that the information is forwarded to staff in the Pre-Prep Office and at Junior School Reception. The information will be distributed to the Form Teacher concerned. 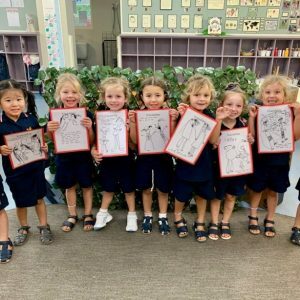 Upon your daughter’s return to Pre-Prep, parents are asked to follow up with a note explaining their daughter’s absence. 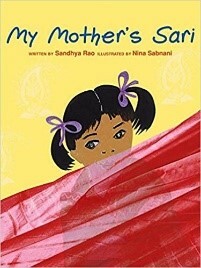 The number of days a child is absent is recorded in the Pre-Prep Report. 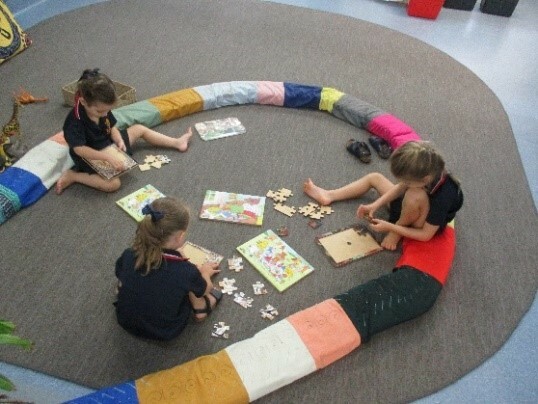 All children should arrive at Pre-Prep between 8.00am and 8.20am. 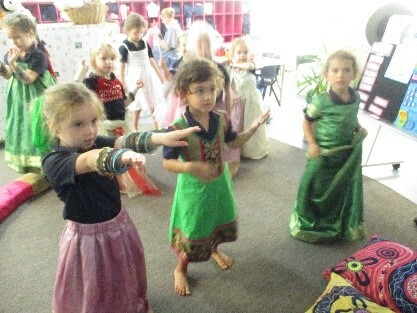 The program commences with outdoor play supervised by our Assistant Educators until 8.20am. At this time, our teachers also join the girls in the playground. 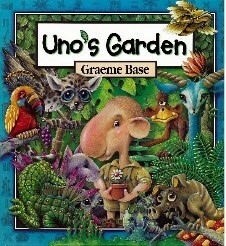 Please do not enter the classrooms prior to 8.00am. Parents are reminded of the requirement to sign their daughter in electronically upon arrival and to apply sunscreen prior to arrival. If a child is unwell at home parents will be asked to not bring the child to Pre-Prep. Parents are reminded of the procedure to keep their child home if they have had diarrhoea and/or vomiting for 48 hours after symptoms have cleared, for 24 hours after commencing a course of antibiotics, or for 24 hours after the child has had a raised temperature. If a child becomes ill or develops symptoms during the day at Pre-Prep, the parents will be contacted to take the child home. Thank you to all families for their generous donations towards the class baskets for the Cent Auction. The Fete will be held on Saturday 27 April from 12.00noon, culminating in a fireworks display at 7pm. Ride armbands can be purchased online from the St Hilda’s Website. Click here to learn more. CALLING FOR FETE VOLUNTEERS! We’d love your help to make the 2019 Fete a success. To become a volunteer, contact Community Liaison Officer, Simone Crowther: scrowther@sthildas.qld.edu.au. Parents and friends are invited to join us on Thursday 4 April for our Easter Experience. The girls will be undertaking Easter activities in the classroom during the week, including making an Easter Bonnet. 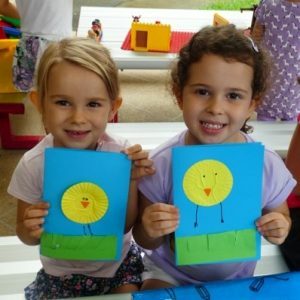 Activities on Thursday 4 April will begin at 9.00am with an Easter Bonnet Parade in the Pre-Prep Playground. 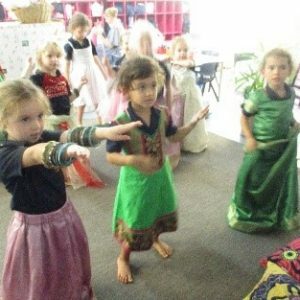 The children will then perform a song and dance for their parents. Parents are then invited to join us for a Hot Cross Bun, with the morning finishing at approximately 9.30am. 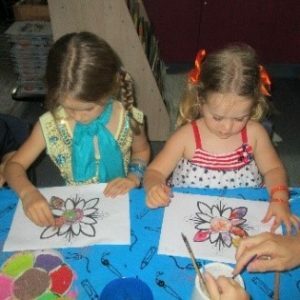 If your daughter is in the part-time Monday class and her regular school day doesn’t fall on the above date, then she may attend just for the Easter experience morning with an accompanying adult. In Term 2 all Pre-Prep children are required to white runners and school socks instead of the navy sandals as part of the uniform each day. The Junior School jacket and tracksuit pants are also an option as the weather becomes cooler next term. A School Banking Account Opening Morning will be held on Wednesday 8 May between 8.00am and 9.00am. School Banking is open to all students from Pre-Prep – Year 6 and their siblings. The Commonwealth Bank will conduct the Account Opening Morning where students can register to be part of the program. Please bring along a Birth Certificate for students wishing to open an account. 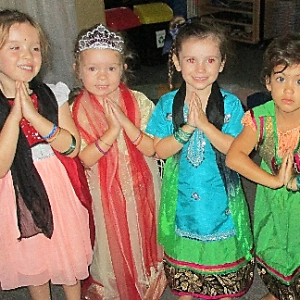 Last week we celebrated Harmony Week. 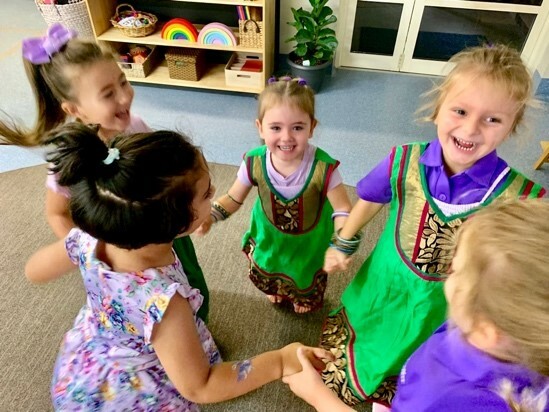 This year was special because it was the 20th anniversary of Harmony Day, which falls on March 21 each year, so we got to celebrate in PP1 all week! 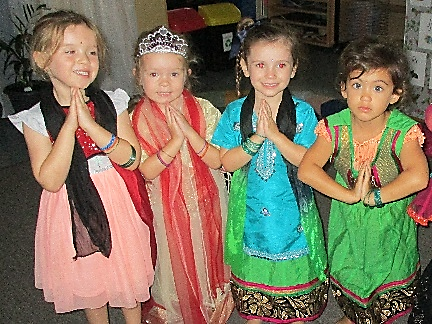 In Harmony Week, we celebrated diversity, love, kindness and peace. 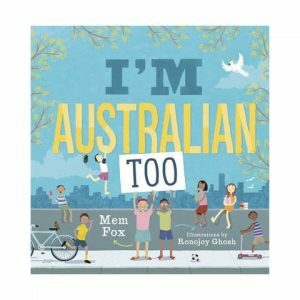 We loved talking about our own families, what makes us the same and what makes us different – we know we all belong! 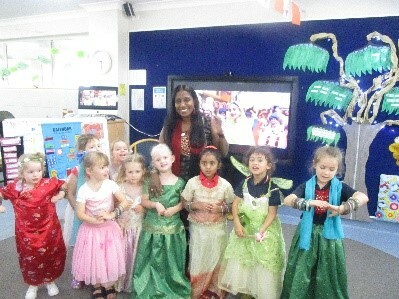 We shared different foods, dress-ups, danced, learnt about different cultures through digital media and story books. Mrs Nolan shared her own cultural heritage with us through her authentic Indian costumes, including her beautiful bangles! 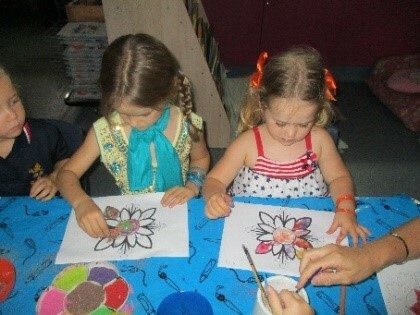 She also showed us how to put on a Sari, let us smell some amazing spices, cooked us delicious chicken curry, poppadums and fried rice, taught us how to make Kolam pictures and painted little henna pictures on our hands! 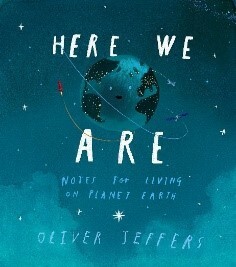 As our explorations progressed, we also began talking about caring for our world and the importance of looking after our environment to protect our habitat, as well as that of all the animals in the world! 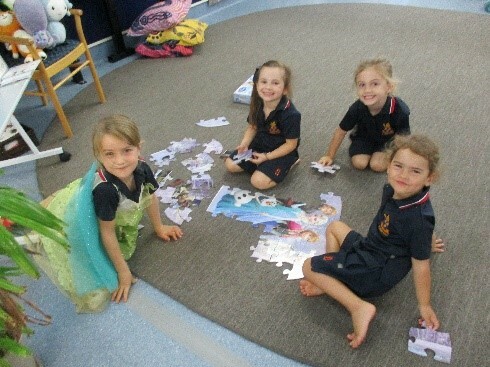 Throughout March we have been enjoying completing increasingly difficult puzzles and we are developing our problem-solving and visual discrimination skills very well through our play. As we have been challenging ourselves and showing how well we can complete complex board puzzles, both independently, as well as a part of a small group, we are now being given the opportunity to work on more complex boxed puzzles in small group project work. We have been discussing two very important things; kindness and respect. Our Kimochi friends, Lovey Dove, Turtle Dove and Cloud have enriched this learning and assisted with our social and emotional development. 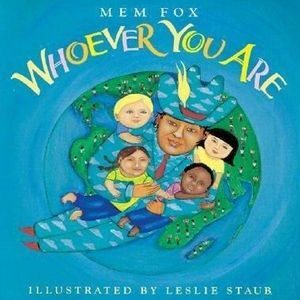 In addition, the recent National Day Against Bullying and Harmony Week have provided further opportunities for us to explore what it means to be kind and what it means to belong. 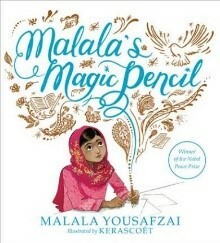 This was achieved through various rich learning experiences/environments. 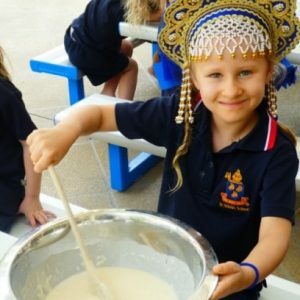 As part of our celebration, the girls bought in a dish from their culture to share with the class. 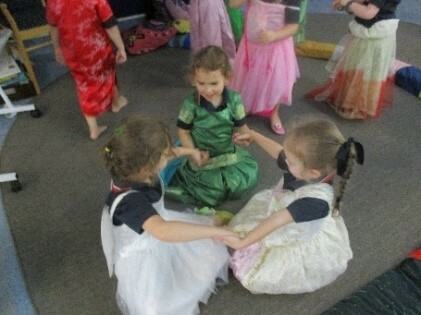 This was such a delightful event that brought our small class community together. 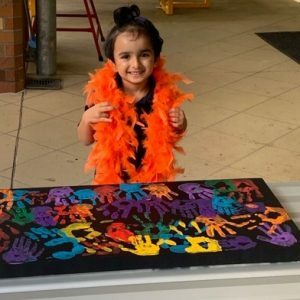 We wore orange accessories on Monday, 18 March and orange clothing on Thursday, 21 March to acknowledge, raise awareness and celebrate diversity. 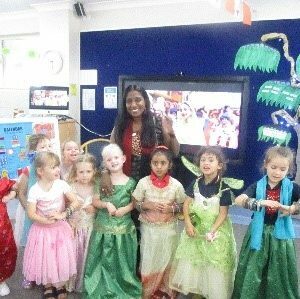 We engaged in cultural dance and art experiences and thoroughly enjoyed dressing up, listening to stories and viewing pictures of children from around the world with varying needs, interests, backgrounds and abilities. As the girls know, understand and appreciate, we are all different, we are all equal, we all belong! 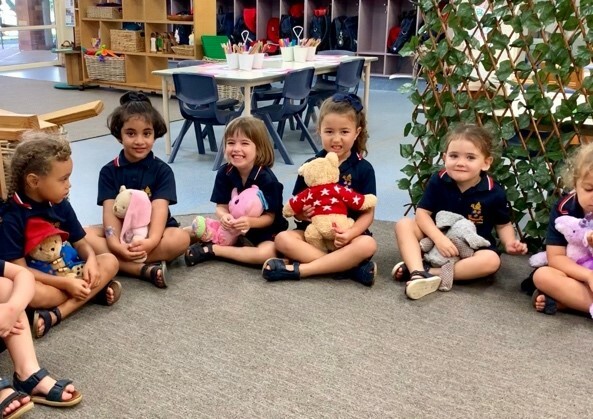 We celebrated the girls’ wonderful bucket filling achievements recently with a teddy bears picnic. 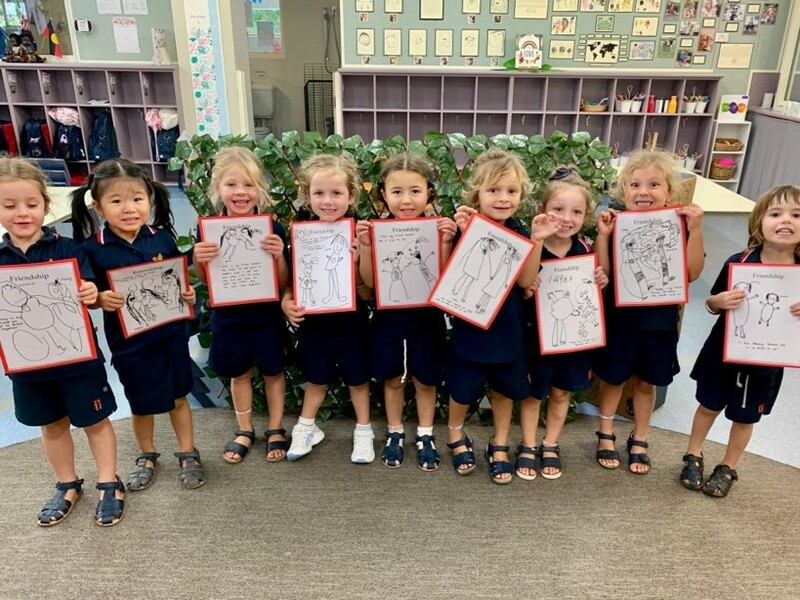 This notion of bucket filling began after we explored the stories ‘Have You Filled A Bucket Today’ and ‘Will You Fill My Bucket?’ The girls have worked so hard all term to fill their own, others and the classroom bucket. 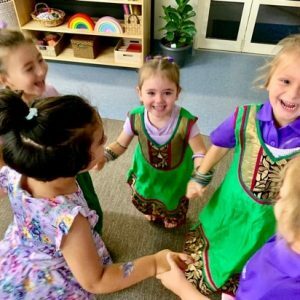 They have been initiating their own picnics during class time, so we thought we would incorporate their interest into this special celebration. Well done PP2! 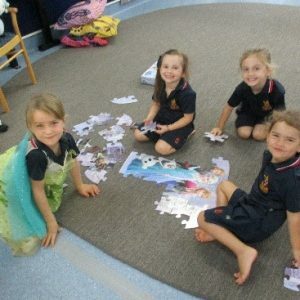 In the outdoor environment we have been following the girl’s interests in dramatic play, ice, bubbles and gardening. 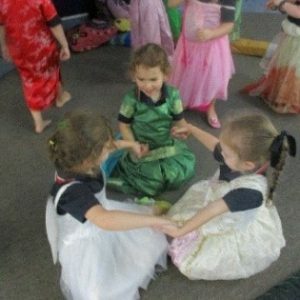 Their love of dressing up and taking on a variety of roles is highly evident as is their eagerness to engage in sensory play outside. 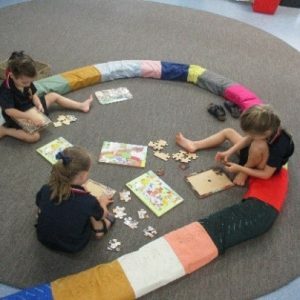 These experiences allow the girls to further develop their language skills, manipulate objects and experiment with cause and effect, explore ideas using their imagination and creativity skills, express thoughts and emotions, explore different identities and points of view and learn how to join in and initiate play. Over in the garden, the corn and flowers have really taken off thanks to the girls care and the recent rain. We hope early next term our corn will be ready to harvest. On another note, please take the time every now and then to view the outdoor program which is hung outside the classroom. We have been busily preparing for our Easter Hat parade. The girls have put a lot of time and effort into their hats, dance routines and Easter gifts. 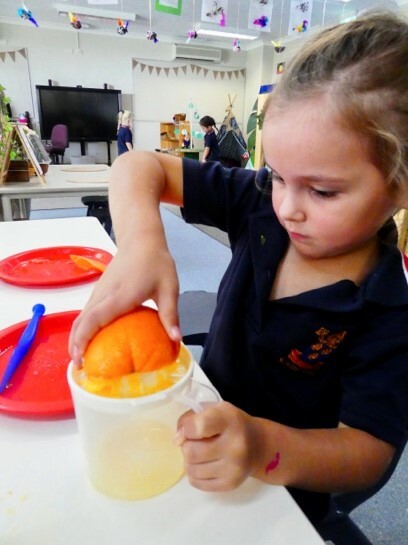 We can’t wait to share our creations with you and a hot cross bun on the last day of Term 1. Thank you for your contributions and support this term. We wish you a happy and safe Easter break and look forward to welcoming you back in a couple of weeks. What a fabulous time the girls have had researching and preparing different types of food recently. 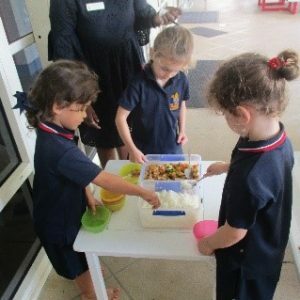 It’s been evident that they all love ‘pretending’ to cook in the sandpit and in our home corner so, after lots of discussions and conversations, the girls decided to make all sorts of ‘real’ food. Firstly, they decided on making banana smoothies, as they are “healthy and good for us”. 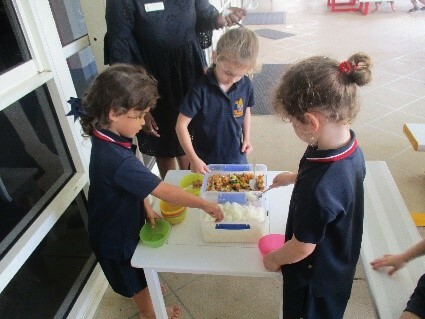 The girls cut their own bananas and added yoghurt, milk and honey, before blending. 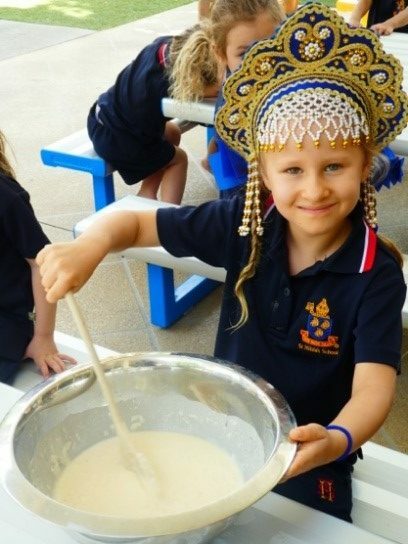 Then they decided to make pancakes as it was Maslenitsa (the Russian pancake festival). They measured and mixed and added their own choice of topping. 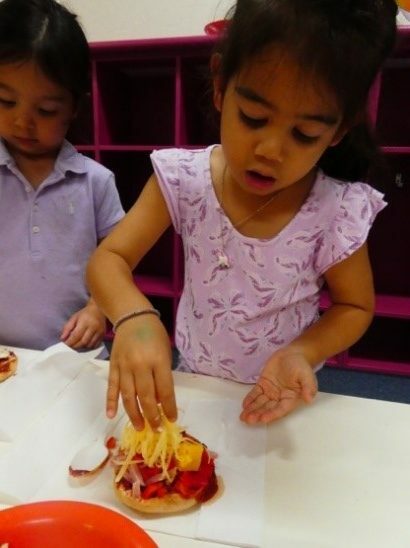 We have also made watermelon and coconut popsicles, as it was so hot, and our favourite – pizza! They will be deciding on some Easter treats soon. 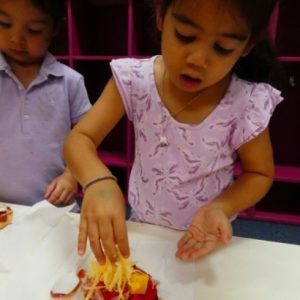 Cooking is such a wonderful way to bring language, literacy, science and diversity into the classroom. Watch out – new Masterchefs on the horizon! 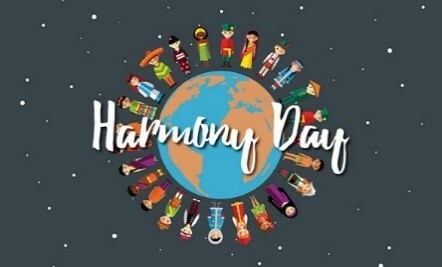 Harmony Day provided a wonderful opportunity for us all to come together and discuss the beauty of diversity, respect and inclusion for all people of our multicultural Australian society. 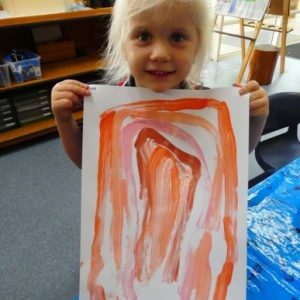 The girls painted handprints on our Pre-Prep canvas with their families, and in class they painted rainbows to celebrate peace and harmony. 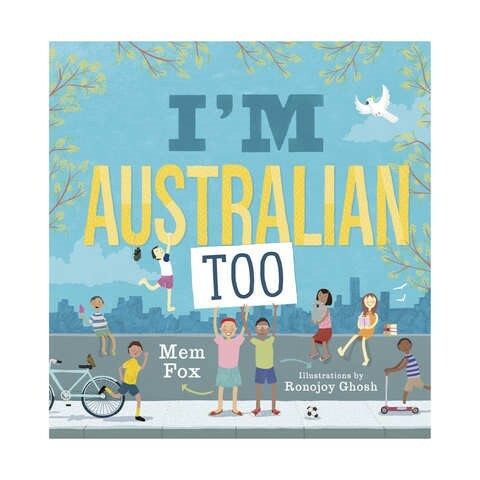 With Easter on the horizon and lots of discussion surrounding holidays & chocolate eggs, we discussed how lucky we all are to have family and friends that love us. I explained that some people may not have lots of friends and family and might feel lonely at Easter time. As a lovely gesture the girls made greeting cards and they will be handed to Rosies organisation at Easter time. Wishing you an Easter filled with love, good food, joy and celebration.